Are you looking for a delicious treat that is satisfying and tasty but also healthy and free of sneaky additives? Then it's time to try Coracao Confections! You offer your body antioxidants, important minerals, vitamins and “feel good” natural chemicals. You enjoy raw cocoa that does not contain any artificial additives, like food dyes, preservatives and high fructose corn syrup. You can be sure that your treats are GMO-free! Coracao Confections are against child labor, that is involved in cacao harvesting. Their chocolate comes from small farms in Peru and Ecuador and is fair trade. 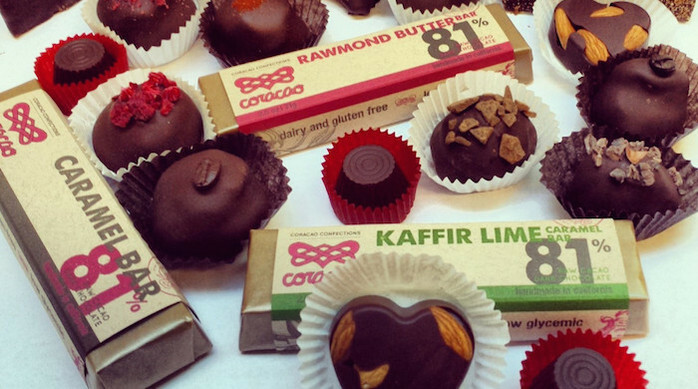 The ingredients in Coracao chocolates are almost exclusively organic, raw and wild-crafted. And you can read them all in their ingredients list. No secrets here! The Coracao packaging is made either from biodegradable, unbleached wax paper or cellophane, which is plant-based and biodegradable! Next time you are looking for a special treat for yourself or a friend, you know what to get! Coracao confections has many delicious products suitable for vegans, vegetarians and people with food allergies as well! Let other people know what it is you like about Coracao Confections and why it is an ethical company worthy of checking out. Or flag a concern, if you have any.